ULTRA-THANE 230 2.7 Roofing Foam is a two-component spray-in-place rigid monolithic polyurethane foam insulation. This product can be formulated in a variety of densities to accommodate a broad range of applications. ULTRA-THANE 230 contains no ozone-depleting chemicals. 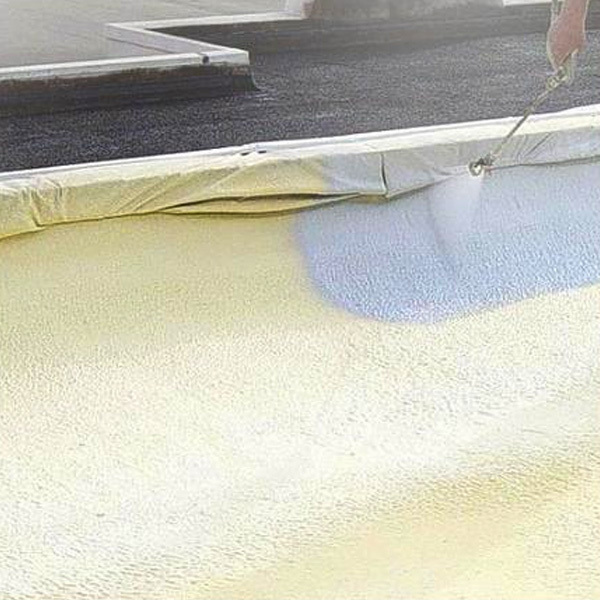 ULTRA-THANE 230 2.7 is used extensively as a superior thermal insulation and waterproofing product for new and remedial roofing. ULTRA-THANE 230 2.7 is the insulation of choice for maintaining the rigid climatic conditions of many cold storage buildings. ULTRA-THANE 230 2.7 is an excellent insulation for hot and cold storage vessels. In a single application, UPC 2.0 can create a specialized engineered building envelope, which provides better thermal resistance, excellent air barrier, and a recognized vapor retarder. Universal Polymers Corporation continues to strive toward innovative, scientific advancements in high-efficiency spray foam insulation solutions, intumescent and elastomeric coatings, high-performance quality products, and superior service.UPC 2.0 is a two-component spray-in-place closed-cell, rigid, monolithic polyurethane foam insulation. All UPC 2.0 systems contain no ozone-depleting chemicals.